Rising costs are placing a heavy burden on service delivery models for programs supporting older adults. Americans age 65 and older accounted for 14 percent of the population in 2014. By 2040, it is estimated 24 percent of the population will be over the age of 65. Two-thirds of the estimated 46.2 million seniors reside in 14 states, the largest population in California. As service providers struggle to keep pace with rising demand, newer and more efficient methods need to be employed. Volunteer and complementary currency based programs are the solutions. People are living longer, with an average life expectancy of nearly 79 years. The numbers are even better for those 65 and older. In their 2015 profile of older Americans, the U.S. Department of Health and Human Services Administration on Aging found Americans over the age of 65 had an additional average life expectancy of 19.3 years. The United States is home to over 72,000 centenarians. To give this perspective, there are about 10,000 more Americans over the age of 100 than are residents of tech hot spot Palo Alto, California. The demand for assistive support and companion services have never been higher. It is a demand that is going to grow exponentially over the next 20 years. America needs to source a large network of compassionate and dedicated service providers. To prevent adding more to already surging medical costs, this network will need to be paid in an alternative form of currency. America needs a complementary currency capable of sustainably funding the needed care without degradation of the service provided. Fortunately for the United States, a solution already exists. The Japanese have a reputation for living long healthy lives, and not without good reason. Japan has more residents 65 and older than any other country. In 2015, this age demographic accounted for 26 percent of Japan’s population. Faced with an increasing demand for services and a dwindling workforce, Japan’s Sawayaka Welfare Foundation created the Fureai Kippu. 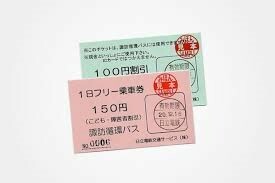 Begun in 1995, Fureai Kippu, or caring relationship tickets, is an alternate currency based on hours of service. Members earn credits for helping others in their community. A service provider may take the recipient to a doctor’s appointment, run errands, cook meals or simply provide companionship. Providers can use their credits when they need assistance or they can transfer them to another person. Most providers help elderly residents who receive credits from younger family members who are helping elderly residents themselves. This system allows young adults who have moved away to help parents and elderly family members back home. Hours are processed by two clearing houses to ensure system integrity. Fureai Kippu maintains a satellite office in Los Angeles. This office allows family members living in the U.S. help locally and send hours back to family in Japan. U.S. policymakers could easily seek guidance from this office to create a similar system. Considering 14 percent of America’s elderly reside in California, it would be a great place to conduct a pilot program. The system is promising but is it too good to be true? Some surveys of Fureai Kippu in Japan found many recipients preferred Fureai Kippu care providers over those paid in Yen. Both the relationships and level of care received was said to be different. Fureai Kippu creates a personal connection and a sense of reciprocity unmatched by traditional payment systems. When a network member provides a service, another network member provides service to someone they love. The person being cared for becomes an extension of their family. Traditional care providers are some amazing individuals. The have a genuine desire to care for others. Many develop close personal bonds with their patients. Still, no matter how caring they may be, they are being paid to do a job. These wonderful professionals go above and beyond daily but in the end, it is business transaction and professional care providers are not the decision makers. By design, business transactions are cold and emotionless. They represent a cost, a debt that must be paid by someone at some point in time. Business transactions must be completed under budget and they must return a profit. Professional care providers must answer to a boss like everyone else. Money and profit are the deciding factors. Systems such as Fureai Kippu are not bound by the same restraints. Since they don’t cost money, insurance and government are removed from the equation. What remains is community members caring for community members. The collective efficacy of such a system provides benefits traditional compensation strategies cannot. From a social equity standpoint, we all receive the same hours. In this context, we all have the same net worth. A Fureai Kippu style system reduces government spending on health care while allowing everyone, regardless of income, to care for their aging loved ones. All it will cost is a little bit of time. Author: Andy Plumlee is a dual MBA and MPA candidate in sustainable management at Presidio Graduate School in San Francisco, California. During his time in school, Andy has worked on projects for the City of Berkeley, California, as well as nonprofit and private sector organizations. He can be reached at [email protected] or connect with him on LinkedIn. Right on Mr Plumlee. 5 stars all around!!! This is an excellent article and I meant to give it 5 stars instead of 2, my error. What an interesting approach to caring for the elderly in America. Japan has a good system in place. Thank you Celeste for reading my article and your kind words. I appreciate your support. Take care.